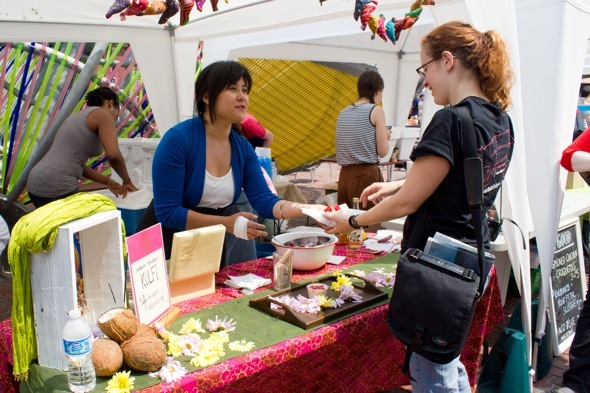 It's official: Toronto loves food trucks. 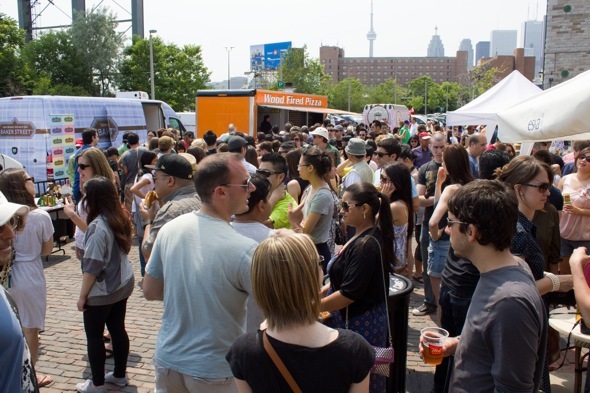 The inaugural "Food Truck Eats" took place in the Distillery District over the weekend, and it was a huge success - in fact, it might have been too popular; as several vendors ran out of food and closed up shop well before the end of the event. 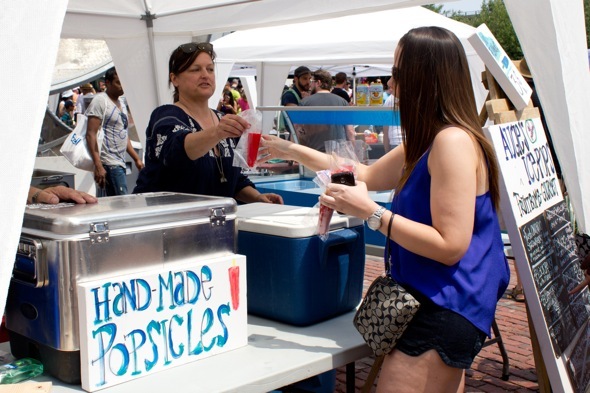 The festival was packed throughout the day with hungry visitors ready to try out a trend that's gaining momentum â all for $5 or less. While there were only five actual food trucks in attendance this time around, there were a number of truck-less chefs and restaurants (with an interest in street food, of course) operating out of traditional food tents. 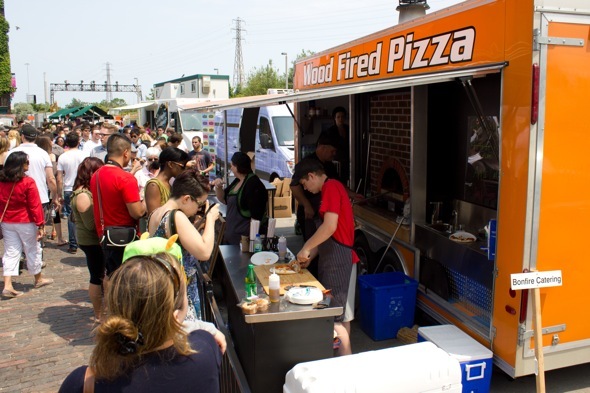 Shortly after lunchtime, the longest lines could be found at the Niagara Region's infamous El Gastronomo Vagabundo and Bonfire Catering's Wood Fire Pizza truck. The first thing I tried was the BBQ pork on a bun from El Gastronomo Vagabundo, whose line looked slightly shorter than Bonfire's at the time. The pork was topped with cucumber and coriander, the latter of which which made the dish more refreshing than one might think. I can now safely say I understand why El Gastro is so popular - plain and simple, they produce some surprisingly accomplished food out of their mobile kitchen. To my disappointment, while in line I heard that Hamilton's new Gorilla Cheese truck/booth (the truck was not ready in time for Saturday) had sold out early in the day - and before I arrived. 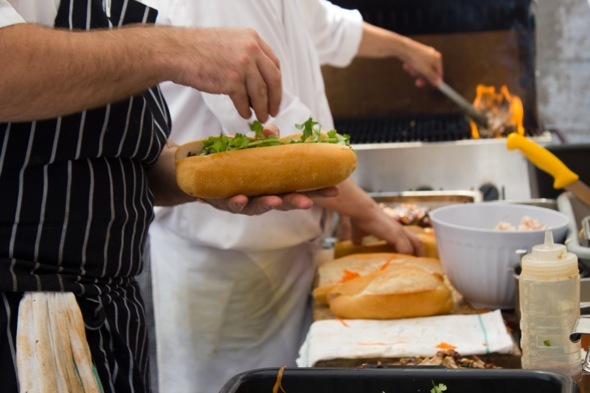 The folks of the Distillery District Restaurant Group made a delicious looking sub, which, upon further inspection, I found out it was a Vietnamese sandwich called a 'Mekong Sub." Sadly, these were also sold out before I managed to try one. Given that this was the festival's first run, however, organizational mistakes of this nature can be forgiven. Not all was lost waiting for the sub, as I did manage to try one of the last Kulfi's available at Joshna Maharaj's booth. When I asked what a 'Kulfi' was, she told me it's basically "Indian Ice Cream." That might sound boring, but it was most definitely not - while it tasted similar to ice cream, there was a delicious smoothness about it that reminded me more of gelato. 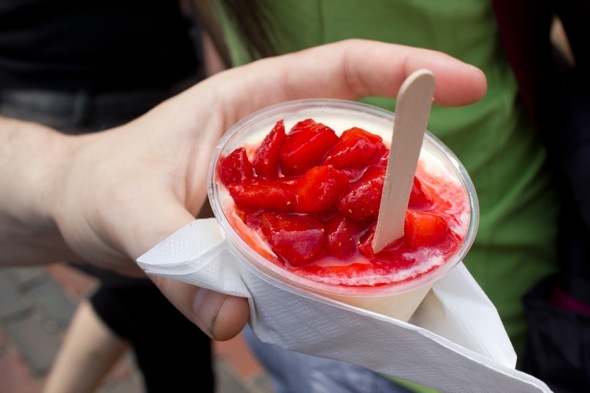 The strawberries she drizzled on top were, in my mind, the perfect topper. For those who missed out this time, there will thankfully be a part two and three to this event. According to Suresh Doss, the mastermind behind Food Truck Eats, there will be more actual trucks present in the future. By part three (planned for October), he expects to have 12 food trucks participating in the event. 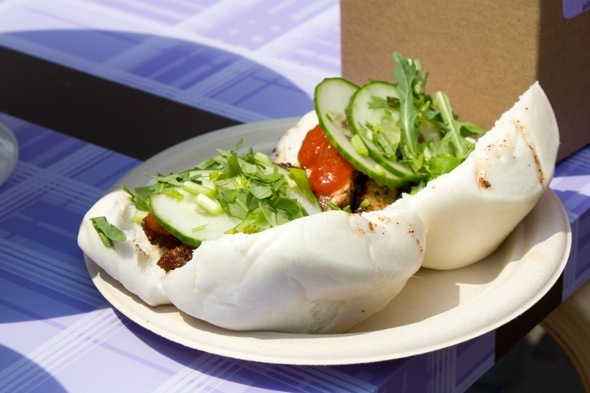 Food Truck Eats: Part 2 will be take place on Saturday, August 20 from 11-3 and will once again be held in the Distillery District.